“Nicholas Hilliard, a goldsmith and miniaturist, is one of the lesser known yet highly important artists of early Baroque. His unique achievement lies in his creation of a type of courtly portraiture unparalleled in European painting at the time. By his own admission, he was influenced by Hans Holbein, that peerless master of the portrait miniature, for whom Hilliard expressed his unreserved admiration in his writings. However, Hilliard’s sophisticated and finely executed miniatures have little in common with the work of his German forerunner, apart from their mastery of fine technique and certain aesthetic principles such as the avoidance of chiaroscuro and strong modelling. These are features of an absolutely aristocratic stance in keeping with the attitudes displayed by the very people he painted. 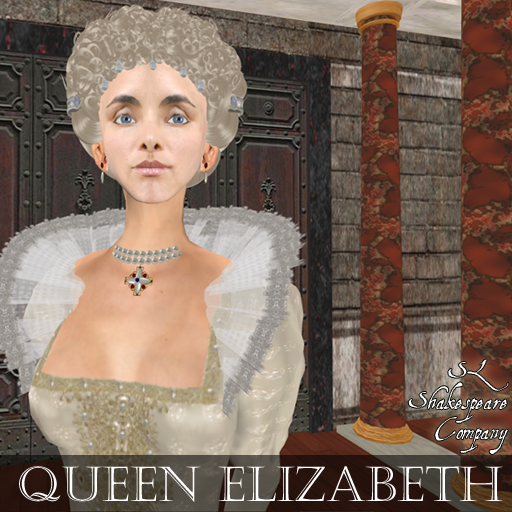 As part of SL Shakespeare Company (SLSC)’s continuing initiatives to help improve theatre on SL - we have created the SL Theatre Open Auditions Database (STOAD). This database currently consists of audition files for our Hamlet production, but will also contain audition files from other productions. Please keep in mind that one of the two clips for each actor below is a “pop quiz” improv. For some, it may be fairly obvious which one… for others, not so. It’s a sneaky way to test how well the actors know their character and the play. I think these two directly above (Thomas Moore and Thomas Cromwell) are wearing cloaks that would be very suitable for Horatio. They are at once of sober color and convey a gravity of person. 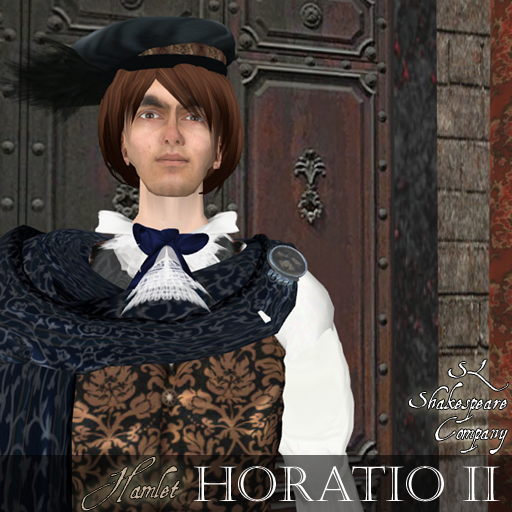 However, the fur collars/lining allow us to see the upper class background to which Horatio belongs. It allows us to see that Horatio can stand next to Hamlet and address him as a friend and (mostly) equal. These lovely pictures are from Rent A Peasant in the UK. They cover Tudor/Stuart style dress. 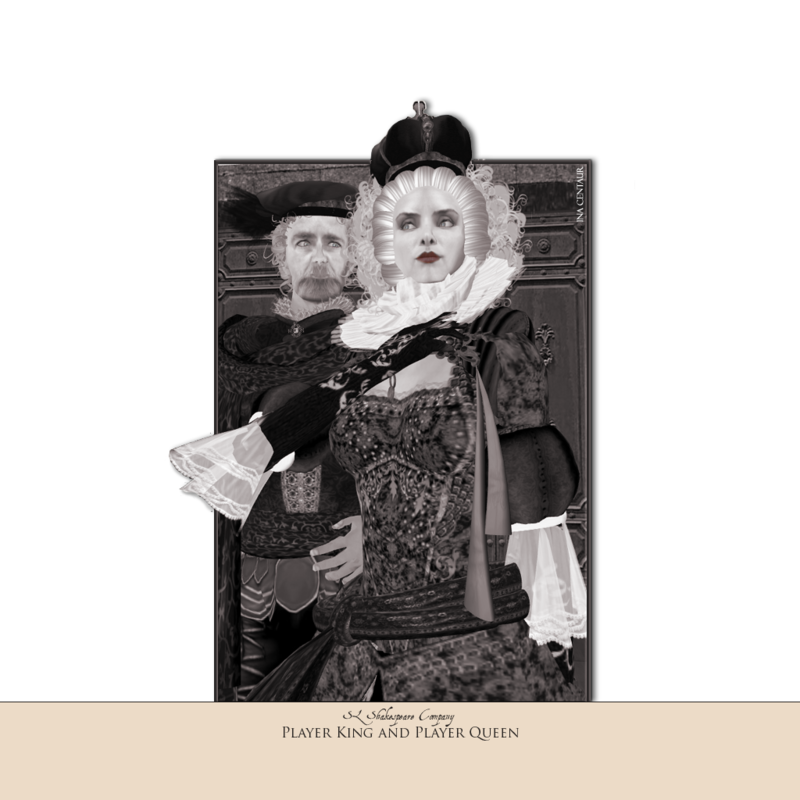 Here are a few woodcuts from Elizabethan Geek Costume Review which shows a variety of lower class costume. This is a picture of the poet, John Donne. Thanks to the National Portrait Gallery. 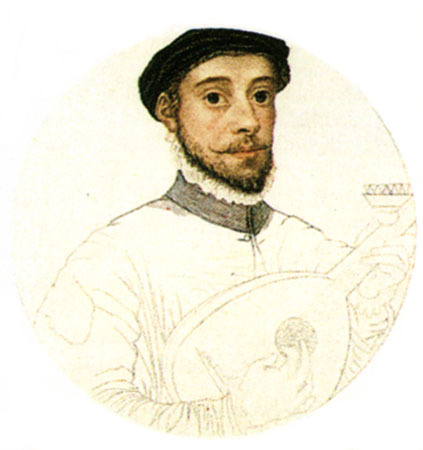 This is an unfinished miniature of David Rizzio–confidant and secretary to Mary Queen of Scots. Thanks to TudorHistory.Org and their wonderful image gallery. 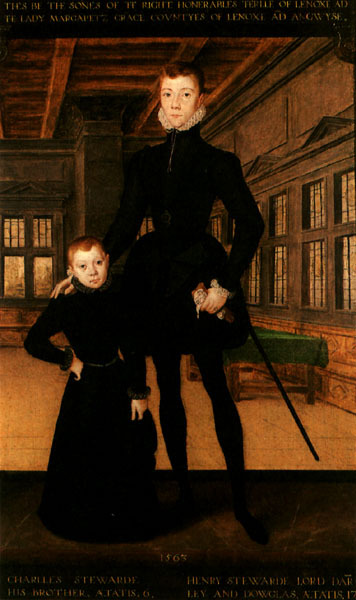 This is Henry Stuart, Lord Darnley around age 17 with his younger brother. He will become the second husband to Mary Queen of Scots. Thanks to TudorHistory.org. 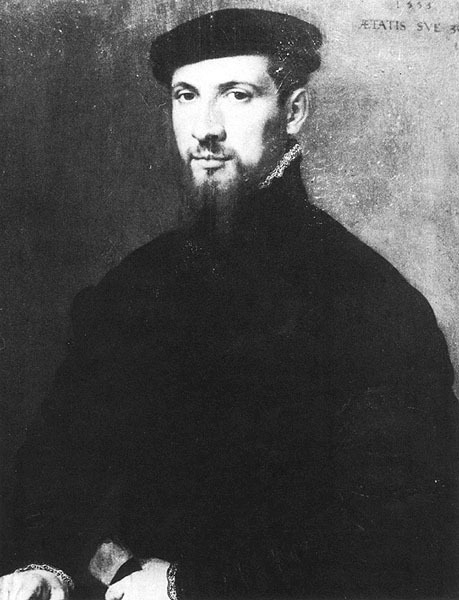 Simon Renard, French Ambassador from Charles V to Mary I. Again, thanks to TudorHistory.org. Youth Leaning Against Tree Among Roses. Thanks to ElizabethanGeek. Sir Henry Slingsby. Thanks again, ElizabethanGeek. I think these are enough images to be getting on with for design. One possible interpretation: Francisco is a peasant (newly-hired-guard) and a teenager who’s lovesick (the literal interpretation). Barnardo (mp3): He opens the play by asking, “Who’s there” after hearing Francisco’s footsteps—and that’s a perfectly normal reaction for someone who’s both afraid of a ghost and expecting it. He’s of a rank higher than Francisco, but not as well connected as Marcellus. In fact, he seeks Marcellus’ help in networking with Horatio, a scholar who would make sense of this—so that they can gauge their sanity before reporting this to the King and other officials, if necessary. He’s bold enough to tell a good story, but also not the type who would overtease Horatio after his first sighting of the ghost—and drives straight to the point, going for Horatio’s scholarly opinion of this strange sighting. One possible interpretation: A high-ranking soldier, possibly also a courtier, who is well-connected and used to giving commands. He’s common sense, issuing orders after Horatio goes off in his scholarly contemplations, complementing Horatio’s scholarly sense. Horatio (mp3): Horatio is about Hamlet’s age, and from holistic given support from the text, I am inclined to see him as a typical college-aged youth – no more than 24. He comes into the story as a Ghost-consultant and visiting friend to Hamlet, but evolves into Denmark’s “next-in-line,” becoming the one who passes on Hamlet’s wishes to Fortinbras, Jr. But before I expand in too much depth about Horatio’s character, I’d really like a good discussion from the group on this. (I do have a vision, but it’s always more fun to get everyone involved—and to see others take initiative.) For Scene 1, he should appear like a scholar who’d just arrived in Denmark and has barely had time to change out of his travel outfit before Marcellus (perhaps the two are old friends) pulls him out to see the phenomenon of the Ghost. Vow for Vengeance & Swear for Secrecy! Picture 3 is from a site about the British Royal Guard with costume/duty information from a greater site called British Life and Culture maintained by Woodlands Junior School, Kent. Elizabeth in Procession to Blackfriars, 1600. You can see the YWs pushing Elizabeth’s chair. 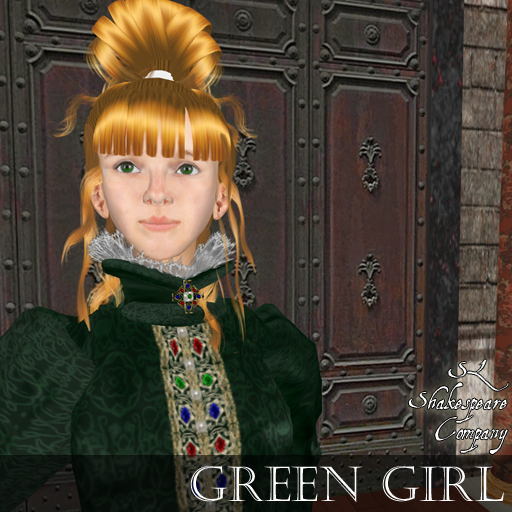 Thanks to the wonderful portrait gallery from ElizabethanGeek’s Costume Review. My rationale for proposing this option is that Denmark has recently lost a king. Not only that, but the queen has re-married the brother of the former king. So, we are in a transitional period around two very formal State occasions: Death and Royal Wedding. I would also suggest since the brother of the king has now become King Claudius, there has also been a third occasion: a coronation. So if there is a time of mourning and a time of celebrations, do they have a special time frame? 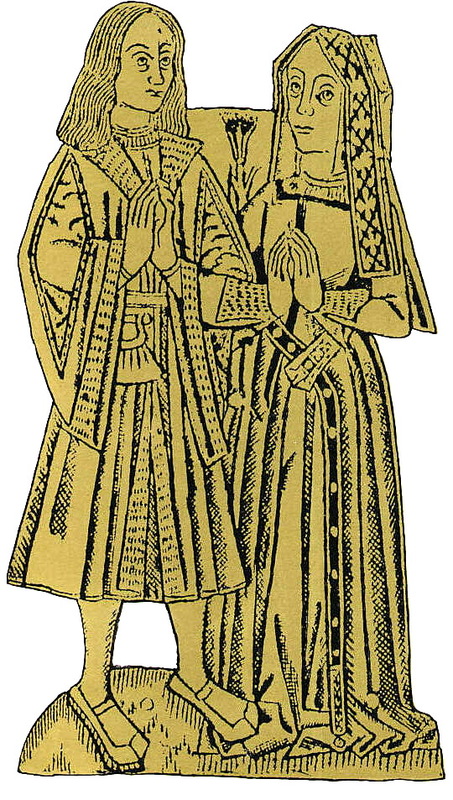 For example, if the state of mourning lasts 3 months–the “accessories” (flags, guard uniforms, other accoutrements) of the castle would present in formal garb during that period. This is not unlike the United States custom of lowering the flag to half staff for a time period when a President dies or for recognition of other tragedies. We can look toward a more practical approach to guards in this time frame. This is a country that is hearing rumors of war with Fortinbras of Norway. This would be a good outfit for either someone of non-noble class or for under the breastplate. The Halberdier’s upper costume would make a good template for a castle guard uniform. Also, the weapons. Then distinctions between rank could be made by cloak and trim and weaponry. Oh, btw, a halberd is a 15th/16th cent weapon with ax blade and spike. 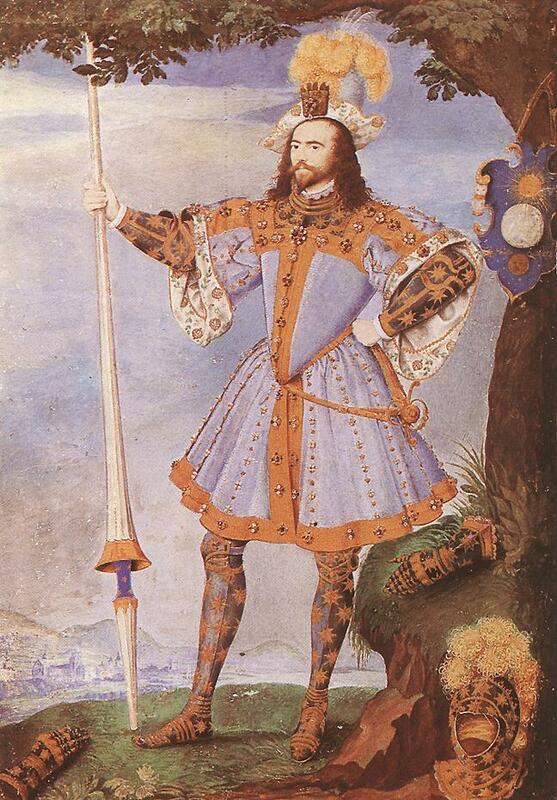 This next picture came from a search for “elizabethan guard” on Google. It was listed for a 2006 auction at McTear’s in Glasgow, but it never sold. It was registered as Lot 591. 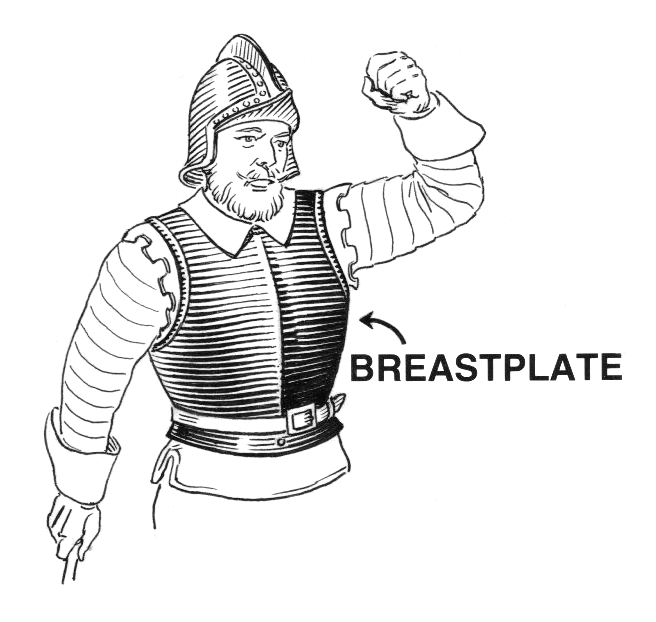 These two pictures came from Wikipedia “armor” search. Since armor would have been expensive, full body armour tended to be restricted to the upper classes. It would, however, make complete sense that guards on duty would be issued at least a breastplate and helmet to keep them somewhat protected in the event of emergency. However, all working guards should have identical uniforms except for distinguishing features of rank. There are also a few armor pieces in “My Met Gallery” collection at the Metropolitan Museum of Art. Email me for userID and password. Or you can do a search for yourself under “armor” after you create your own.